Homeowners who notice that their tubs and fixtures have picked up a strange blue or green hue may be dealing with what is known as “acid water.” As the name suggests, this occurs when water is acidic, meaning the water has a pH of less than 7. Typically, water should have a pH balance of 7, which means it’s neither basic nor acidic. This water is safe to drink, cook with and bathe in, among other activities. Acid water may refer to water that is naturally unbalanced toward the lower side of the pH scale. While acid water is not necessarily unsafe, it may not be suitable for all uses. How Does an Acid Filter Work? An Acid Filter is made with a special inner filtration system that reduces the acidity of the water fed into the top of the unit. 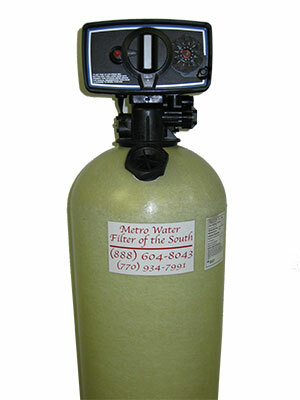 Clean and pH neutral water is passed from the filter and into your home or business water system. Once every four days or so, the system removes all of the accumulated impurities that collects inside the filter. This self-cleaning cycle is called “backwashing.” During the cycle, the media bed is cleaned, which flushes any sediment or other contaminants out of the filter. Once that cycle is over, the filter returns to regular operations. The filtration system should be checked and replenished every so often (around every 6 months) to ensure maximum performance. Metro Water Filter will gladly perform this routine maintenance or we’ll even show you how to maintain your own filtration system. If you decide to perform your own maintenance, we’ll make sure you have all of the proper documentation.